and opinions are all our own. i am not going to lie. when i first saw this fabulous recipe by rachael ray, i was a little nervous. i was worried i wouldn't be able to make it as beautifully as the recipe showed. 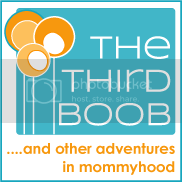 still, i was feeling adventurous and gave it a try. i'm so glad i did. this is delicious and it looks fantastic to serve for guests or just to serve for dinner. i am always looking for healthy and tasty dinners for the family. this one is perfect. the other great thing about this recipe? it has the same ingredients as *rachael ray nutrish for cats*. my aging cat loves this food made with all natural ingredients. his coat is beautiful and he is such a happy little animal. the food would be fantastic for your cat as well. 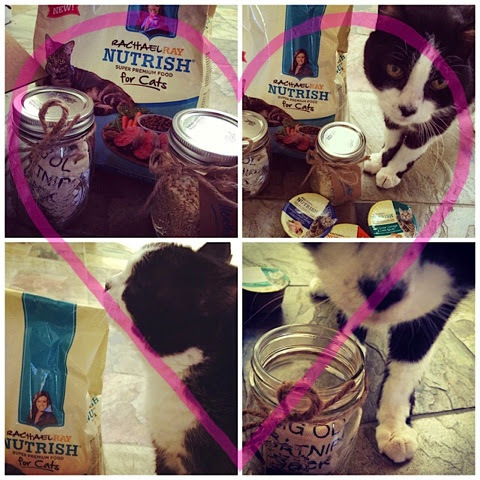 if you would like to make the switch to nutrish, here is a coupon for you to get started on the switch over for your cats: nutrish coupon. we are so sure you will love it that we are even offering a prize to one winner. simply comment on our blog or our facebook post and you can win a bag of nutish dry food as well as some samples of the wet cat food. 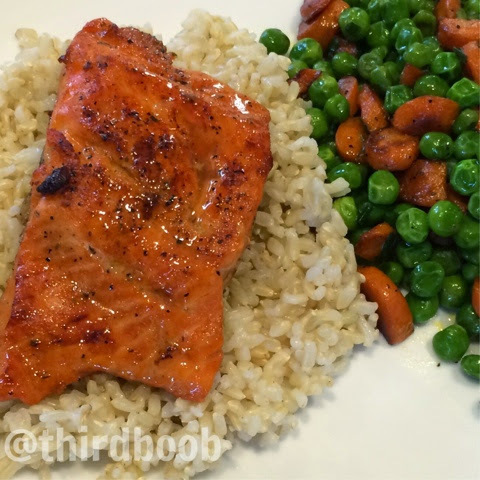 you'll have this amazing salmon dinner for two, you and your cat. you'll also be helping animals everywhere. 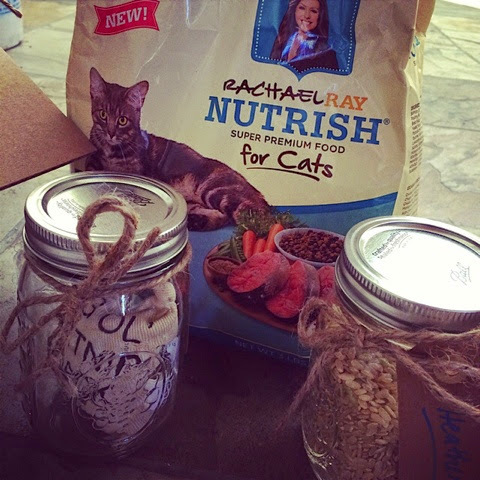 since it launched, proceeds from rachael ray nutrish have raised more than $6 million for rachael's rescue, which helps animals in need. it's a win, win, win. 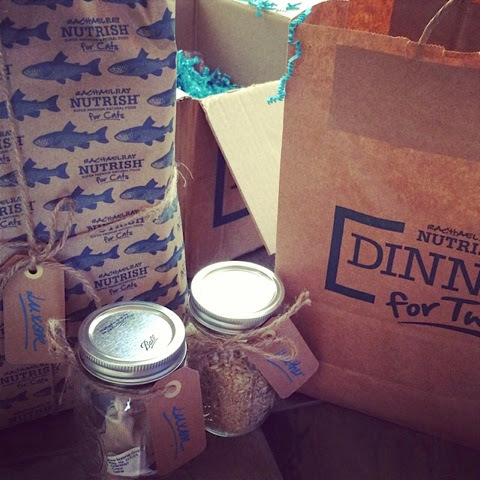 for more information on nutrish, please click here. Prepare the brown or white rice, according to the package directions. When the rice is done, fluff with a fork and combine with the watercress leaves. When the rice has been cooking for 5 minutes, pre-heat the broiler and heat a skillet over medium-high heat with 1 tablespoon EVOO, a turn of the pan. Add the carrots to the pan and season with salt and pepper. Sauté to tender-crisp, 6-7 minutes. Meanwhile, in a small pot, bring the liquid smoke, maple syrup and vinegar to a boil and reduce over high heat, stirring constantly for 2 minutes. Remove from the heat. Season the salmon with salt, pepper and Old Bay seafood seasoning. Heat the remaining tablespoon EVOO, a turn of the pan, in a large, ovensafe, nonstick skillet and cook the salmon top-side down, 3-4 minutes. 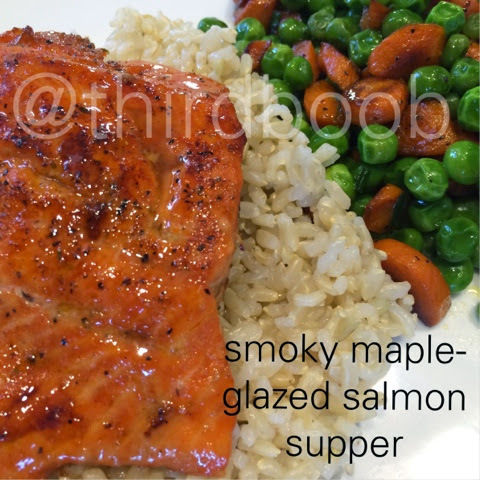 Flip and pour the maple syrup glaze over the top of the fish and place under the broiler for 3 minutes to caramelize the glaze. Add the peas to the carrots and heat through while the fish is under the broiler. Add the butter and chives to the veggies. When the butter has melted, turn off the heat. Serve the salmon with the peas and carrots and rice with watercress alongside.